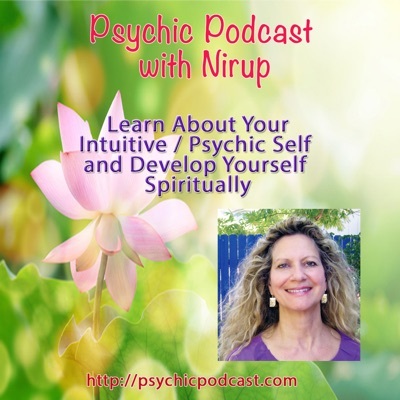 Internationally known professional psychic – Since 1990, Nirup has guided others as a clairvoyant and psychic reader, spiritual counselor, workshop facilitator, past life regressionist, and meditation teacher. Ø Trained in India for seven years at the Osho School of Mysticism in Pune. Ø Certified Psychic-Intuitive, Psychic and Intuitive Development Coach/Trainer, Certified Clinical Counselor, Reiki Master, Jin Shin Do Acupressure, Meditation Teacher, Past Life Regressionist, Spiritual Counselor, Emotional Healer, Spiritual and Personal Development Coach located in Sedona, Arizona. Ø Provides Psychic and Intuitive Reading, Life Purpose Reading, Soul Reading, Spirit Guide Reading, Past Life Reading, Aura Reading, Chakra Reading & Balancing, Aura & Chakra Photos. Ø Developed the internationally recognized Inner Knower course which assists the client’s innate psychic ability to emerge. Teach the Inner Knower program in person, online, by phone, and Skype internationally. o Clients who are titans of industry, government, law enforcement, entertainment, and elected officials. o Interviewed by national radio show hosts. o Featured in the Elle Magazine. o Featured in Sedona Monthly Magazine. o Sedona Chamber of Commerce. From a very early age, I have felt a connection to the spiritual. At the age of four, I began going to church. Here, I felt I belonged–a sense of oneness, feeling the presence of God and the Angels around me. At the time, I did not understand it all, only that it was a place I sought to be. “Why am I here?” That planted the seeds in me to seek and search for understanding who I am. Though the years as a child and teenager, I continued to attend church, which ever one was closest to me. I never thought about what denomination it was because to me, it was all the same. As a result, I am very accepting of each person’s spiritual path. For most of my life, the “still, small voice” was part of my daily activities. Professionally, I trained as a dental hygienist/dental assistant—a world of exact science, measurements, and facts. Either there was a cavity or there was not. Either someone needed an extraction or they did not. And yet, even in this exact, scientific world, the “still, small voice” was eloquent, guiding me even in the smallest of details. Often, when working with the dentist, I would consult the chart for today’s to do list and set out the instruments the dentist needed—as well as several which seemed to be superfluous. The dentist would often look at me in surprise—it was like bringing a cake to Martha Stewart’s house when it didn’t seem to be needed. And yet, during the course of the procedure, we DID need those extra instruments. By listening to the “still, small voice,” I saved precious minutes because I didn’t have to dig through the drawer for this or that—the instruments needed were already at hand. re-career as an interior designer. My intent was to apply to a school in Ontario but God Intervened. After I missed the deadline to apply, I heard the call from God out of the blue–a clear and loud voice–as though it was coming from outside myself. The voice told me to buy a round the world ticket and start traveling. Yes, this meant that I would be leaving everything behind—career, family, friends, and possessions. This was a surprise as it was not something I expected to happen to me. After all in my twenties, I was more conservative than I was adventurous. So I left behind my career in dentistry and my life in Canada, and began traveling around the world. I set out with my stuffed backpack, my slender guidebook, and continuous guidance from Higher Source. Along my journey, travelling through Fiji, Australia, New Zeland, Asia, Europe, Thailand, Malaysia, Europe, Mexico, Central America and Bali, I began to find myself and understand who I was–how I fit into this world. By living with people in various nations, I experienced other peoples’ cultures, customs, and spiritual beliefs. I came to realize that at the core of who they are, all people are searching and striving passionately for happiness, meaning in life, and connection through spiritual experiences. This led me to search more intensely to understand and develop my own spiritual nature, and psychic abilities so I could help others. While in Bali, Spirit guided me to a woman who gave me information about the Osho School of Mysticism in Pune, India—and I KNEW I had to go there. I changed my ticket from Greece to India to make this happen. I began formal training and was there for seven years focusing mainly in the areas of Meditation Methods, Psychic Development, Past Lives, Intuitive Counseling, Energy Healing, Personal Development and Spiritual Awakening Techniques. Just as a Certified Public Accountant takes Continuing Profession Education (CPE) units to develop new areas of practice, I graduated with a Hikomi Counseling Certification and a Creative Psychological Therapies Certification. I deepened my training in Aura & Chakra Balancing/Healing, Past Life Regression, Psychic development, EFT, Reiki, and Jin Shin Do Acupressure Certification. I then moved back to Canada and started a meditation and healing center. In addition, I facilitated psychic seminars, workshops and personal sessions. I furthered my psychic and spiritual awakening studies which took me throughout the USA and Canada to learn from advanced teachers. I now live and continue my work in Sedona, Arizona. Sedona has a mystical magical beauty all its own. I hope you have the opportunity to visit me. When I have free time, I enjoy hiking in the red rocks of Sedona to express my creativity wherever it leads me. I offer sessions in Spiritual Counseling, Emotional Healing, Spiritual Mentoring, EFT, Psychic Readings, Meditation, and Psychic Development Trainings. I am available to facilitate your next workshop or seminar. Please email me and let’s get started.